Got a sweet lunch lap in the local park with Carpoong, the Sultan, and Bishoooop! Spring BLOOMS are going off in the mountains! Come down and get in a great trail RIDE! Ranger District just North of Douthat State Park. Check out my peace out socks! 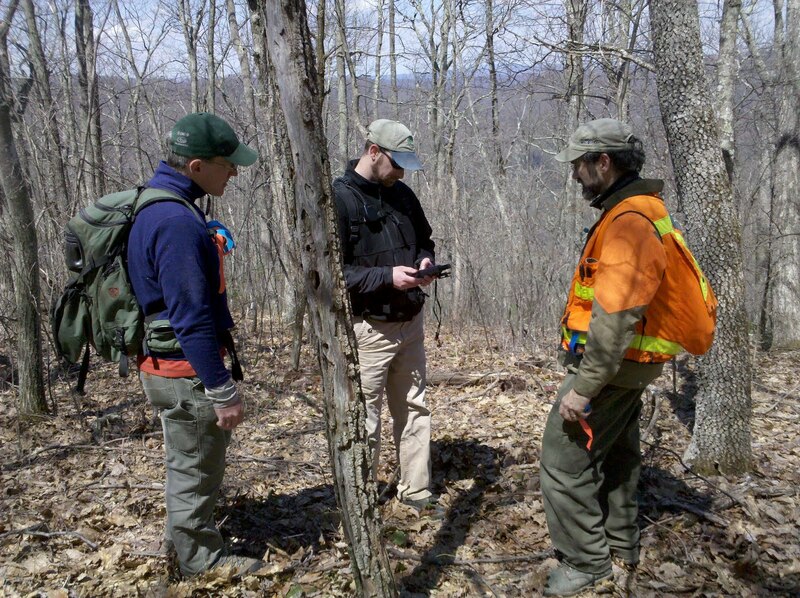 Dan Hudson and Rich Edwards(L&R) of IMBA working with WJ Cober of the USFS in the Mt. Rogers National Recreation Area on a new bicycle trail alignment to replace a trail lost to the Racoon Branch Wilderness Area. Camping in the GW National Forest in STYLE! Camping in our National Forest is a very fine time! Dragon's Tale - good long weekend! great new maps on new kiosks at the trailheads - super cool!